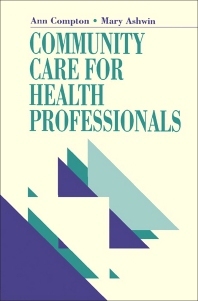 Community Care for Health Professionals presents information needed by health professionals for an effective transitioning from institutional to community-based care. The book is comprised 12 chapters that are organized into two parts. The first part covers social policy and various issues, including legal, sociological, and psychological issues. The second part covers the skills required for a successful community practice, such as working with individuals, families, and groups. The text will be of great use to health professionals who are working in the community or have plans to do so.